The Pet Shop Insider: I need your HELP Please! A letter of plea from me, Adam, a.k.a. Ryaless. First off, let me introduce myself, I'm Adam, a.k.a. 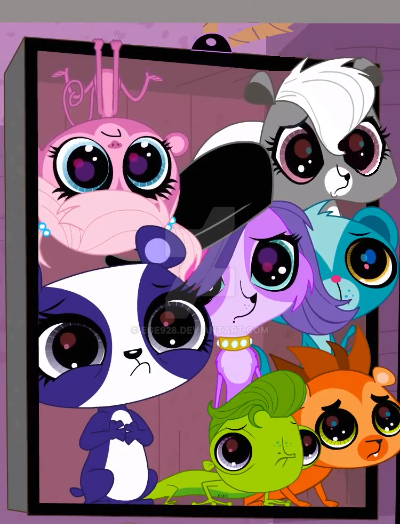 Ryaless, who started to upload the entire first season of Littlest Pet Shop to Youtube. Unfortunately Youtube found out about the episodes and started to take them down one-by-one, but by that time I put too much work into my account to let them lock it and make me loose over 5500 followers, so I decided to delete the videos myself. Luckily a very good friend of mine suggested a website similar to Youtube which was Dailymotion, I checked it out and gave it a try; now all the episodes are there in the same 1080p iTunes quality as they were on YT; and I plan to upload all future episodes there too. What I need your help in is that as you may know, I get all the LPS episodes by actually paying for them in iTunes and I only managed to upload the first season because I received a very generous donation in a form of a US iTunes Gift Code via a very soulful Petter. Unfortunately I didn't manage to smooth things out financially on my end up until today(still struggling) which means that I would have to ask the fandom(YOU) to be so generous to donate in a form of a Gift Card/Code. Since I live in Hungary I would have to go through a lot of trouble and time to acquire such a gift card; thus my only remaining option would be the fandom.